Search engine optimization (SEO) is the science of increasing traffic to your Website by improving the internal and external factors influencing ranking in search results. It includes Web programming expertise combined with business, persuasion, sales and a love for competitive puzzle solving. If you do all this right, you will have a Website capable of maintaining desired revenue goals while achieving higher search engine rankings in the organic sections of search engine results pages. The objective of search engine optimization (SEO) is to increase a Website’s traffic counts, and ultimately conversions, by getting higher search engine placement for the keywords in the search query. The mission of SEO is to make the site’s content worthy of higher search engine ranking for your target audience by being more relevant and competent than the competition’s. This SEO optimization process is often viewed as a struggle to rank well for just a few keywords, instead of a struggle to satisfy the needs of those entering the query.That is not really the goal – you should satisfy the user by being an expert and giving them valuable competent information. Trying to fool the search engines into giving you rankings will just get you penalized. There is no easy way to perform search engine optimization. It is hard work to be better than a million other sites, so be prepared to have to do it right and by the numbers. 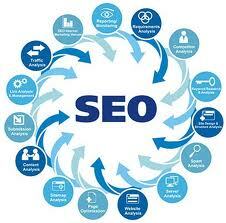 If you search on your best keywords you will see the sites with higher search engine rankings. To obtain traffic for your competing content you will need to rank higher than those top sites. Our free SEO tips and advice and supplemental services optimize and help your search engine rankings (traffic and profits). Productivity – By providing a series of keyword management, keyword search tools and automation tools WordStream enables you to accomplish more search engine marketing in considerably less time, and with clearer workflow prioritization. Relevance – The software creates a system of daily keyword suggestion, and arms you with negative keyword tools that help you to consistently refine your keyword list. This will help you improve your search engine rankings and, in turn, earn you a better Quality Score in AdWords. Value – WordStream is designed to discover new, inexpensive keyword advertising opportunities, and the keyword ad software secures algorithmic pricing advantages for you from the search engines. This saves you money by ensuring a low minimum bid, saves time otherwise spent searching and analyzing manually, and generates better results for your search engine marketing campaigns.In the coming paragraphs, we’ll show you how the tools go about providing this improved efficiency, value, and traffic quality.